This is the season for lighter, milder fresh cheeses that work wonders on a cheese platter, in a salad or even in a dessert. 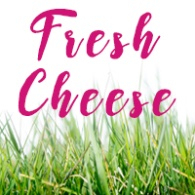 Our dairy producing friends are indulging on fresh grass and wildflowers, which in turn produce a herbaceous, floral, rich tasting milk reflected in two of our best spring cheeses. 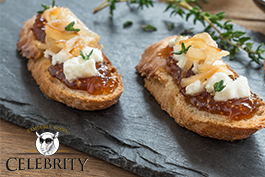 Place on a crostini with caramelized onion or mix with pan roasted tomatoes and bow tie pasta for a quick weeknight meal. Named after Croatia's spectacular coastal region, the Dalmatia line of distinctive sweet and savory spreads is crafted from the best ingredients, sourced from Central and Southern Dalmatia, Northern and Eastern Croatia, and other Mediterranean and Balkan countries such as Macedonia and Serbia. 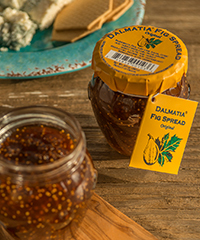 This sweet fig spread pairs perfectly with cheeses and baked goods, and is a wonderful addition to any charcuterie or antipasto plate. 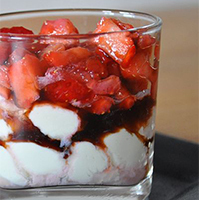 Known as a fresh Italian cheese from Lombardy, Mascarpone is actually made by thickening heavy cream with citric acid and draining it in cheesecloth rather than using a starter culture or rennet to separate curds and whey. It is often likened to American cream cheese, but velvety smooth Mascarpone is richer in texture and has a sweeter and subtler flavor.